I’ve found several definitions for the word “critical”. I’ve always disliked being around people who seem to be negative most of the time. Hearing how bad things are or seem to be, how they don’t like what someone did or said, how things aren’t likely to change. It makes the atmosphere heavy and a dark cloud seems to hang over them. You get the idea. Honestly I never thought of myself as being overly critical or negative. Sure, I expressed displeasure about situations/people but considered those responses as normal for me and how I felt. As I’ve learned more about who I am as a Christ follower I’ve found myself more and more in love with Jesus. I want to please Him in all aspects of my life and find favor. God has been walking with me through the process of dealing with issues He brings to mind; once I truly work through them some of them are gone for good while others I will need to continue to deal with until I get to heaven. Some time back I was asked the question of why I always seemed so negative, why I always seemed so critical. This question was posed to me by someone who I dearly love and whose opinion I value. However, my response was to basically dismiss it in general, especially the “always” part. I certainly didn’t think that was true. I will admit I did realize to some degree that I was quick to find fault and that I tended to look more on the negative side in some situations. So, I really have been working through how I handle my immediate responses to emotional situations. I know I am improving. Definitely not perfect, and probably won’t ever be. I am getting better at not “flying off the handle”; learning to think before I speak and choose words that are not negative or hurtful but ones that may build up another person, bring some insight, or defuse the situation. I am truly striving to bring glory to God and keep him in the forefront in my reactions. I’ve thought for a while I’ve been doing pretty well with this. The times I have gotten too emotional or negative I’ve really tried to look back at why I responded the way I did; what may have been the trigger; what can I learn from it, etc. The typical learning curve. So, what happened? Well, basically God had me look a little deeper into myself. What He opened my eyes to was the fact that I harbored a critical spirit. It’s been there all along but has been buried really, really deep. It’s taken quite some time to peel off some of the outer layers to get to this point. Me, a critical spirit! When that realization sunk in let me tell you it sent me reeling. I felt scared, shocked, repulsed, angry, and probably several other emotions at the moment. Honestly it left me feeling very unsettled. Wow! These scriptures and others hit home like never before. I’ve been trying to figure out how this happened and why. Again, I know a lot of it goes back to my home atmosphere growing up. I remember Mom always being at least somewhat negative most of the time. Sure, she smiled and laughed but honestly looking back now it seems like it was actually forced at times. She always seemed to have a frown about something. She did find a lot of fault with other people and how things were done or how she thought they should be done. I know her OCD played into it too. I guess that’s all I knew growing up so it’s no wonder it became a part of me. I’m not trying to make excuses. I didn’t know there was any different way to be because it was my “norm”. It became deeply rooted within me and has affected a lot of other areas of my life. 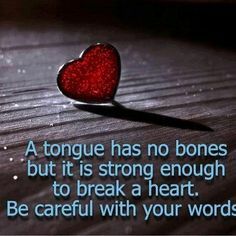 I am grieved at how many times I may have come across negative, spoken harshly or rashly to someone or about someone, or just been plain rude. It makes my heart hurt and I am truly sorry. I can’t go back but I can go forward with my eyes wide open to this deeply rooted issue. With God’s supernatural help I can lean on Him and work through this. I will overcome it and it will no longer have any roots within me. This entry was posted in Journey to Be Me by Cathy McCoy. Bookmark the permalink. THOUGHTS OF A BRITISH GUY! Stories, rants, and insights from my life in Granada, Nicaragua.